I like my home area, the Great Liang Mountain. I like the mountains and rivers but especially the people. I love to depict them with my brushes. A Ge is of the Yi ethnic minority. She graduated from the Sichuan Academy of Fine Arts in 1964, and since then has been working as a printmaker within the Sichuan Artists’ Association. The subject matter of her work is mostly people of the Yi minority. 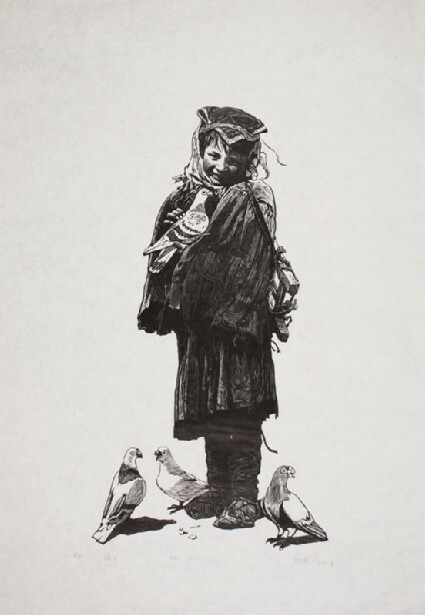 Whilst her early prints were mostly influenced by the European chiaroscuro style, since the 1980s she has developed a water-soluble ink printing technique that resembles Chinese free-style brush-painting.